GMS was once again invited to entertain girl scouts with rock-related activities. We were given a spot in a picnic pavilion so we would have access to electricity and water, which was great because it rained pretty much all day. Juergen Poppelreuter strung up the GMS banner using ropes, bungie cords, and his scouting knot tying skills. 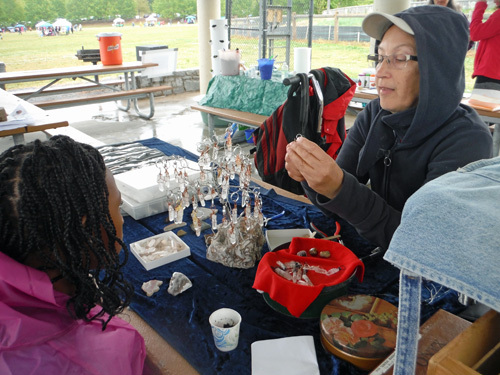 Diana Poppelreuter demonstrated wire-wrapping while Charles demonstrated cabbing. Tom Faller helped answer questions about GMS as he showed visitors rocks and fossils that Diana and Juergen have collected on field trips. 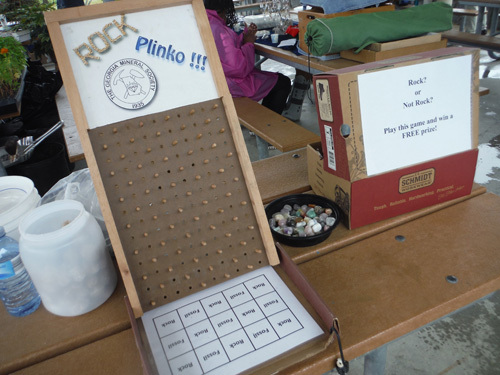 Tom and Juergen also helped me play Rock/Not Rock and Rock Plinko with girl scouts so we could give away lots of rocks and fossils. 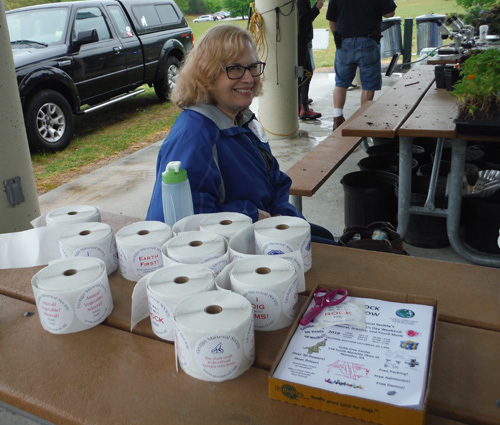 Shelley Stubbs told visitors about GMS and gave them stickers and show flyers. Despite a chilly rainy day, we had a lot of visitors and we had a lot of fun! 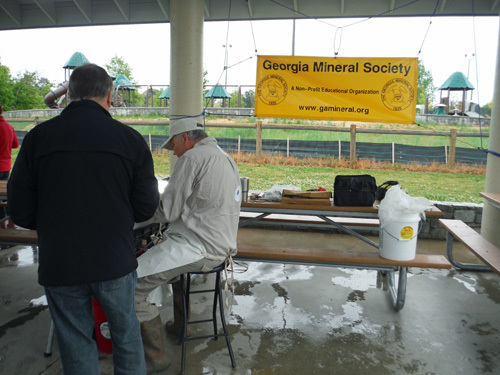 Many thanks to all of the GMS volunteers and all of the nice people who came to see us!